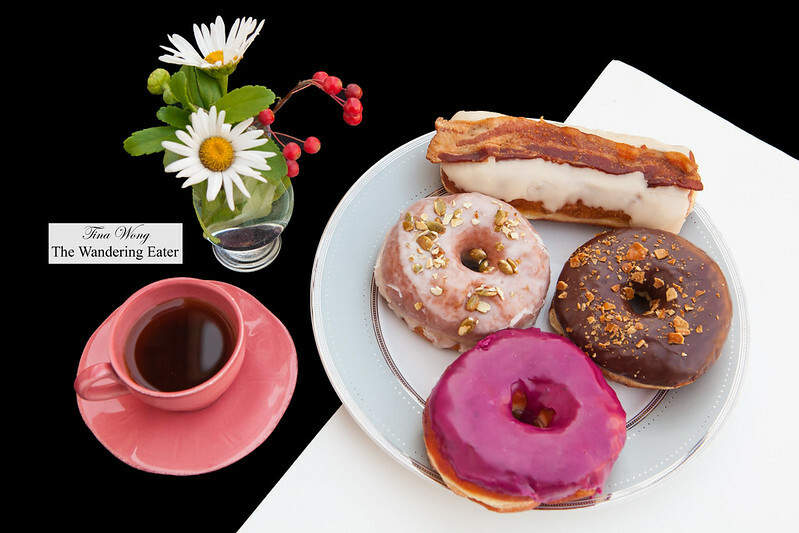 The Doughnut Project (I’ll abbreviate the brand to TDP) is one of the newest doughnut shops in NYC in West Village at two months young. For someone who has eaten many doughnuts and in many cities, this jaded doughnut eater is actually excited for a brand that make very unique flavored yeast doughnuts. They don’t make the standard chocolate, vanilla or strawberry glazed doughnuts. TDP makes some quirky cool flavors that I will talk about soon. When you walk in their shop, it’s a very cool place with black wall with a vibrant graffiti style wall with small pretty chandeliers hanging near the La Marzocco espresso machine. Light gray marble counters to display the gorgeous doughnuts and a long marble bar near the windows for those eating in can take in the scene of West Village. So how about them doughnuts? They are phenomenal, as I’ve mentioned earlier. All of the doughnuts are moist, feather light and not greasy. If you prefer familiar flavors, the chocolate glazed doughnut topped with crushed pretzels ($3.75) is a version of a salted chocolate doughnut. I really liked the crunchy pretzels that added texture to this wonderfully fluffy doughnut. Their olive oil and black pepper doughnut ($3.75) was a wonderfully light and citrus-y from the olive oil used in that glaze. The bits of black pepper added a light floral spice and it’s arguably close to what would be their vanilla doughnut. The Lemon Drop ($4.00) is for the person who adores lemon. It’s a yeast doughnut filled with a zesty lemon curd, lemon glazed and topped with lemon sugar. It’s a wonderful balance of fresh, tart lemon without being too sweet. The cinnamon glaze doughnut topped with roasted pumpkin seeds ($3.75) was autumn in a doughnut form. I loved the fact it wasn’t heavy handed with the cinnamon and the pumpkin seeds gave it a distinctive nuttiness. The classic maple bacon bar ($4.25) is and was the best maple bacon doughnut I’ve had by far. 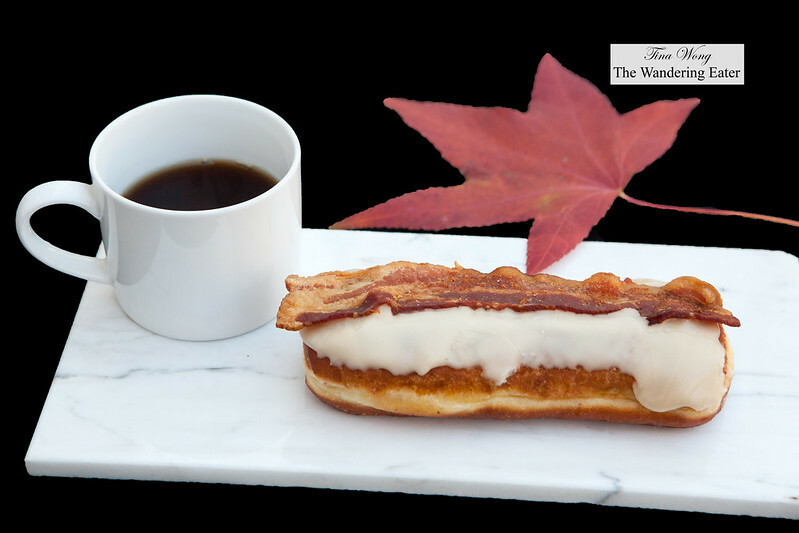 It’s a slightly dense texture on the doughnut itself to hold up to the wonderfully crisp edged bacon and delicious maple glaze. 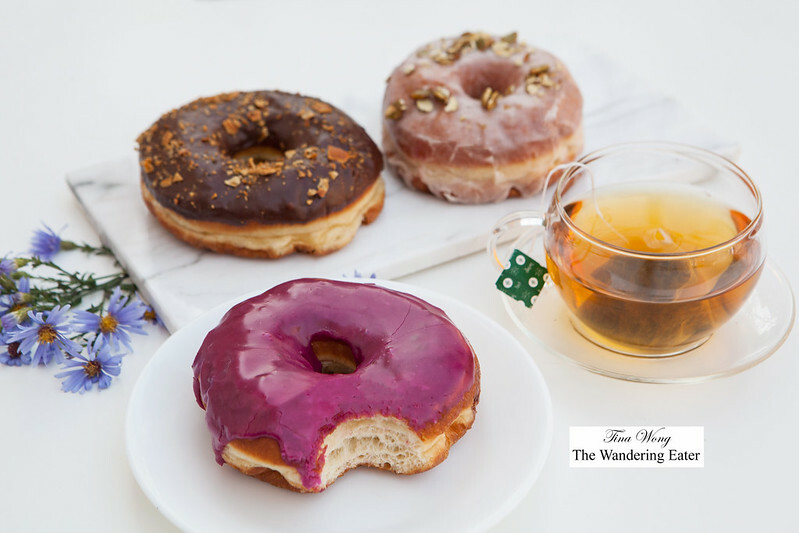 The vibrant fuchsia beet glazed doughnut stuffed with ricotta ($4.00) is one of their signature doughnuts. It’s made of a glaze made from beets as you can taste the earthy sweetness of that root vegetable and the ricotta was light, super creamy and just sweet enough. The Bulletproof Tiger ($3.75) is a pineapple glazed doughnut and if you look carefully, the light orange stripes of habanero glaze. If you like sweet pineapple with a spicy zing, this is your doughnut.